The desire to drink is truly “wired into our brains.” Bad habits are ingrained very deeply and intensely. Why are they stronger than good habits? -because we’re like toddlers who love and crave immediate reward. We alcoholics will still drink that last two or three drinks, totally forgetting for a few moments’ pleasure how we are going to feel in the morning. Many of us are determined to keep testing ourselves. I certainly have, experimenting on a weekly basis with various attempts at moderation. Repeat, repeat, repeat the new behavior. Exercise itself raises dopamine levels, so eventually your brain will get a feel-good hit even if your muscles protest. Reward yourself with something you really desire. Stress can reactivate the bad-habit circuitry. Learn ways to manage it. And cut out the rituals linked to your bad habits. 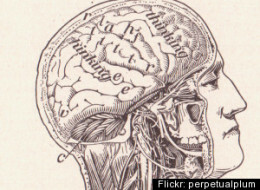 Go to Our Bad Habits Get Wired Into Our Brains for the full article with helpful tricks.